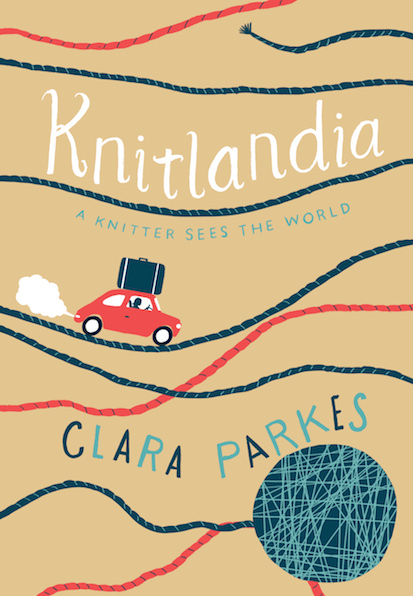 I’ve been looking forward to the release of Clara Parkes new book Knitlandia: A Knitter Sees The World. I’m a big fan of both travel and knitting, so two of my favorite things all in one darling book. The cover is so cute, I’m dying to read it in public, better yet read it and knit in public. And in this case, read it and knit in public while emitting knowing guffaws, chuckles and full on coffee-out-the-nose bursts of laughter. Such a good storyteller is our Clara. I was especially anticipating Clara’s descriptions of her Icelandic adventure because I love Iceland, been there a bunch of times, and several years ago Gudrun Johnston and I took part in a similar trip also hosted by the inimitable fireball Ragnheiður Eiríksdóttir. 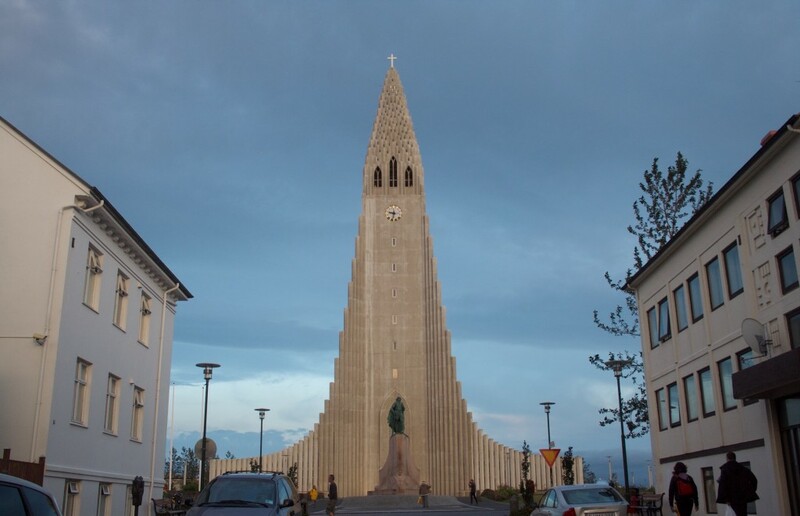 Clara nails it -she gets it absolutely perfect, the strange, not strangeness of Iceland. Knitlandia is the best sort of travelogue, Clara makes you feel like you’re right there with her – the sights, sounds and smells of the place. Having cappuccino at a cafe that provides nail polish too, visiting the Lopi factory, shopping for yarn in the supermarket, riding Icelandic horses, told with lots of informative background information slipped in, all spoken with her comfortable entertaining voice which makes you feel like she’s your best friend, and she’s only telling these stories to you. My favorite part was the sheep round-up and dinner afterwards – but you’ll just have to get the book! One great thing about Iceland from a knitter’s point of view, that Clara noticed, is the prevalence of Lopapeysas – the typical Icelandic sweaters – which are everywhere. Here’s a slideshow of some I snapped during that 2012 trip to Iceland…they are the glimmering inspiration that sparked my Stopover sweater! You’ve got a chance to win a copy of Knitlandia – lucky!!!! Just leave a comment telling us something you like about Iceland. The giveaway is open to U.S. and Canadian entries only. (I’m so sorry all of you in the rest of the world! Not my choice) The giveaway closes Sunday March 6th at midnight (EST) and I will announce the randomly chosen winner on Monday March 8th. The winner will contact me and I’ll forward your information to ABRAMS Books. Give it a go! Write a novel…because WE LOVE ICELAND and WE LOVE CLARA! I bought an Icelandic sweater in Orkney in 1986 or 7, but it was knitted in Iceland. Grey, black, and white. I’ve never been to Iceland, though I’d love too – and it’s inspired some of my dyeing. Iceland is magical. I did a tour with Helene. 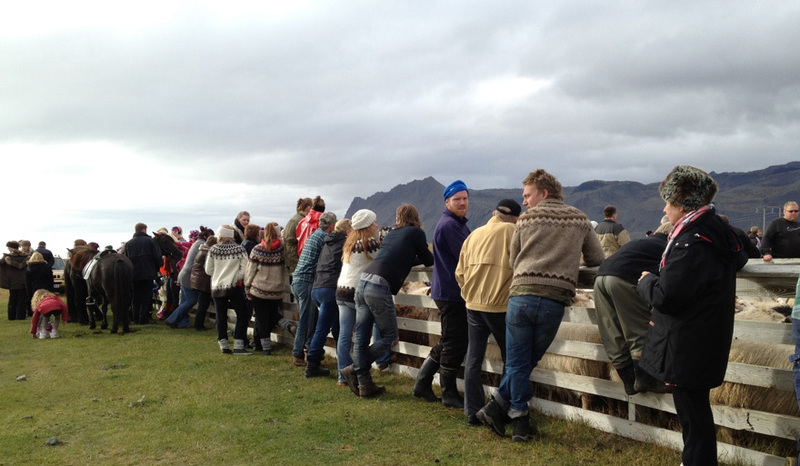 One of my favorites was visiting the goat farm where a woman singlehandedly is saving the Icelandic goats. The baby goats were so cuddly. Iceland is the land of wonderful contemporary artists who are influenced by the magical place they live. Aah Iceland — a place I’ve long wanted to visit, not just since I began knitting. A roommate’s mom once had the largest flock of Icelandic sheep in the USA and it was with those fibers that I first started wet felting. Someday, someday! Also eager to read this book! I love it that Iceland is cold enough to wear handknit woolens! What’s not to love about Iceland?! My Lopi sweater is my favorite sweater to wear. Durable, beautiful colors and warm! Iceland is definitely on my travel bucket list ~ a knitter’s paradise! Would love to visit Iceland to meet friendly people and see sheep, yarn and if I am lucky, Northern Lights. I’ve taken a couple classes with Ragga and enjoyed how she included Icelandic culture in her lessons. As for Iceland, I love the idea of being in a place where most people knit and/or value handknits, where even grocery stores sell beautiful Lopi yarns, where bathing in hot springs is a part of normal social life, where there is a large creative community, and where there are happy sheep. Sounds like paradise! After knitting my first Stopover I immediately ordered more Lett Lopi and started again….all because the lure of Iceland grows ever stronger for me, and I know I’ll get there someday! I would love to visit. The fiber and arts community sounds wonderful, the scenery epic! I am going for the first time in June! …I look forward to the colors of nature, the people and buildings, the food, touring the countryside, …and the wool!! I am going to Iceland in August for the 4th time but it will be my first Stopover. I am so excited. I will have to read this book first. Iceland is beautiful beyond words. There is so much open space. I would love to just sit in the middle of a field and enjoy the unadulterated views. I hope to visit some day. I love the magical nature of Iceland! Your pictures are so beautiful, especially the last one of the little stream. I’m really excited to learn more about the Lopapeysas, so that’s what I love most about Iceland! I knit my first Icelandic sweater for my husband back when we lived aboard a 31’sailboat in N. Europe. I long to see Iceland someday soon, as I love their history and culture of wool as well as the amazing geology (I have a lax degree in geology but a forever love of volcanoes). I was a non-knitter, as was my sister when she visited Iceland so my kids’ sweaters were all machine made. But lovely, for sure. She’s gone now, but talk of Iceland still makes me smile. I love the landscape and how untouched it is – breathtaking. Iceland would be a fantastic trip. The landscape is so beautiful. 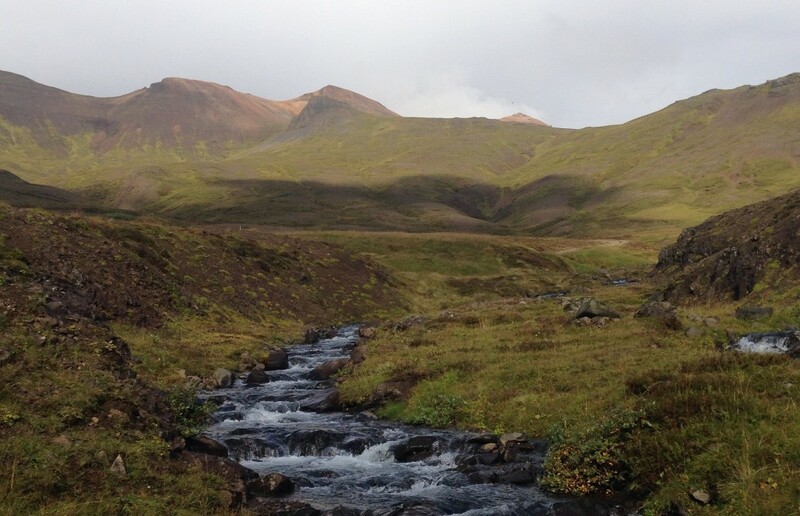 I am fascinated by the ruggedness and isolation of Iceland and would love to travel there! Iceland is on my bucket list. I learned to knit over 25 years ago using Lopi and my second project in my life was an Icelandic sweater. And I want to try those hot springs. I love the fact you can buy yarn in places like the grocery store or service station! The wool! And the fish. That’s what I like about Iceland… (also, I like that I have a friend in Reykjavik who knits too). I made a non-lopapeysa sweater from Icelandic wool for my then-boyfriend back in the early 1970s. Ten years later I made another, onon-lopapeysa cardigan for myself. Someday I may make a lopapeysa using the dozen or so skeins of Icelandic wool I bought back then. 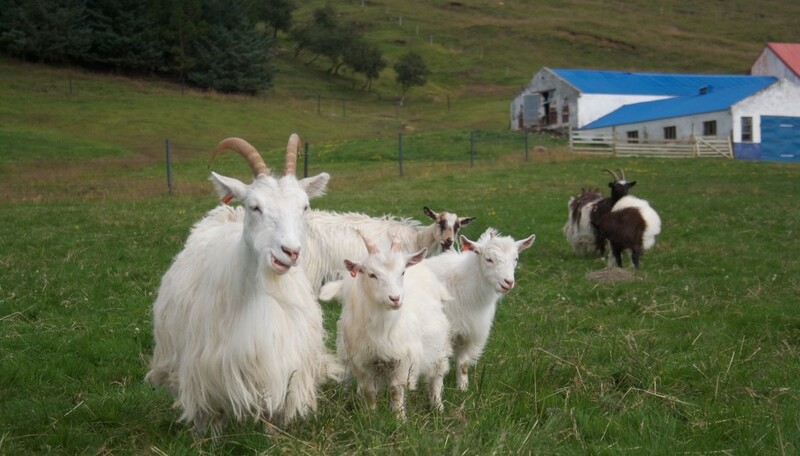 I know little to nothing about Iceland, but I totally want to go there someday and see those goats! I love the amazing landscape of Iceland, but their wool is right up there, too! Easy question. I love the lopapeysa designs!! I’m dying to knit one for myself. As a knitter that is also a geologist I will say that my favorite thing about Iceland is the geology followed closely by their amazing Icelandic sheep! it’s not very far from Nova Scotia where I live 🙂 and they have amazing yarn. a friend who went there for an academic conference sent me some yarn as a gift. I love Iceland’s beauty. The beauty says it all!!! After watching Mind Of the Expat Knitting podcast, I’m in love with the idea of trying Icelandic wool! Definitely on my vacation destination list. Iceland- mysterious, beautiful. And the wool! My son brought me some yarn,Lettlopi,from Iceland! I knit my first “Icelandic” mittens with it, the warmest mittens ever! I’ve always been intrigued with Iceland! I’m just finishing a Lettlopi Stopover and it is my 9th Icelandic sweater – knit over a period of 35 years, starting when I lived in Edinburgh, Scotland and found Icelandic wool so reasonably priced. I’d love to read the stories in Clara’s book! In 1978 I knit an Icelandic sweater for my mother (Reynolds Vol 78 –New Icelandic Fashions for Men and Women, still in my collection), and that was the sweater that convinced me to chuck college, go to Iceland and devote myself to knitting. Never actually made it to Iceland but have managed the yarnish part of the dream and for that I am forever grateful. I’ve never been there but it’s on my bucket list. I would like the weather – cold – because I hate hot weather! My favorite season is winter! I love your Stopover sweater and I can’t wait to read Clara’s book! Thank you for this giveaway, Mary Jane! Iceland is on my list to visit! 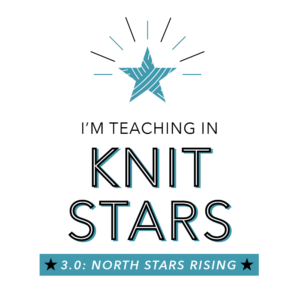 For its beauty, knitting traditions and people. Oh, I’m both – US and HK, have address in NYC. Hope I’m qualified for this giveaway. The yarn, the people, the sheep, the birch liqueur. I have a sweater my aunt made 60 years ago of Icelandic wool. It’s just as good as ever! My sister in law visited Iceland and I got 6 skeins of lettlopi! I’D love to see it some day! I have read “knitting with Icelandic Wool” and am nearing completion of a lopapeysa! Very inspired to do another. I haven’t been to Iceland, but would so love to go! The sheep, the sweaters, the scenery.. what’s not to love. I particularly like the idea that you can buy yarn in the grocery store. Is it true? That last photo is what I like about Iceland. And the cold climate – so perfect for woolens! And the music. And the isolation. So perfect for knitting! Would love to win!! I’ve been to Iceland once, and there are so many things I love about it. Of course, the Lopi factory, and all the woolens. I loved the stark landscape and all of the steaming, bubbling water that comes from the earth. So primal. And they harness that energy too! My understanding of Iceland has changed so much since I’ve been part of the knitting community. I don’t know when I’ll have time or money to visit and set right the misconceptions of youth, but perhaps a copy of Knitlandia would be next best!! I honestly don’t know much about Iceland but it is a place on my bucket list. Why? It has unique geo-thermic features. In my former life I volunteered at Yellowstone. Iceland has some similar areas. I forgot about that until I recently started knitting again. I love the yarn that comes from there. Why Iceland?? Knitting while in hot water! I would absolutely love to go to Iceland. On my list of dream vacations. Have been watching Stephen West’s videos while he was there and loved the scenery and looked liked such a fun place to go. But best of all the yarn and the sweaters! I would love to go to Iceland! It sounds like such a visually interesting place with the volcanic action and landscape. The of course there is the knitting and sweaters and sheep. Couple that with the fact that they are readers and publish more books per capita than any other country. A great place I think. Licorice, Lopapeysas, and Loki Cafe! So far I haven’t travel beyond the the airport in Reykjavik – it is our favorite stopover on our way from California to London. Just breathing the wool fumes in the airport shop and fondling the sweaters makes me want to stay for longer than a few hours. One day…soon! Iceland has always been a dream – just haven’t got there yet. I had a brief stopover in Iceland a few years ago and was able to see the landscape from the window of the plane. It was beautiful and definitely on my bucket list to visit some day. The thought of buying the beautiful wool in a grocery store is totally exciting and fun. I already bought the book! Finished my Stopover, maybe I will wear it in Iceland someday. Thanks for a fun pattern. I so want to go to Iceland! When I travel to other countries, I’m all about places with history and natural beauty. Iceland seems to have all of that. I love seeing photos of all the beautiful landscapes. Hope to go someday. The Icelandic movie Rams is wonderful! I have been fascinated with Iceland for most of my knitting life. I would love to go there! I visited Iceland a couple of years ago, and it’s the best vacation I’ve ever been on. I love what a literary culture Icelanders have, and that they’re friendly in a quiet way. I actually went to Iceland oh probably 30 yrs ago. It was a layover of 24+ hours. We did quick tour. I love love their knits and the mittens I brought home then I still have. Such a beautiful place to visit. I’ve been wanting to visit Iceland since I was a kid. I don’t yet know what I will love about Iceland, but I’m sure that the landscape and the yarns will be near the top of my list! Iceland has been popping up on my radar for about a year now. It’s beautiful. I’ve heard the landscape and vistas in Iceland are stunning. And a relatively easy jaunt from New England! I’d love to go, but in the meantime Clara can take me there. to be able to buy yarn at the gas station! how perfect is that? I’ve never visited Iceland but have always wanted to go. The scenery is so beautiful and yet it seems like something from another planet! The first sweater I ever made was a lopapeysa although in those days (1981?) I had never heard the name. I also landed in Reykjavik in the middle of the night flying to France on Icelandair for a semester there in January 1980. I remember getting off the plane and having no idea where I was. If only I had had the time/money/inspiration to explore a little more! I would love to go back for the people, the sweaters, and the beautiful land. Iceland is where my beautiful family lives, and is a place of good, hearty food, hearty people, strong livestock, and amazing woolen knits. I’m planning on visiting Iceland (briefly) this year. I’m looking forward to the landscapes, and the wool of course! I like how they use their renewable natural resources to produce power. Of course I like the sheep and scenery and horses too, but that renewable energy thing is my favorite. One thing I’ve heard about Iceland is that they sell yarn in the grocery store. How cool is that? I have friends who have visited and told me it is a must see. It’s definitely on my bucket list. Would enjoy a trip to Iceland. Sheep,horses, yarn and landscape. Wonderful! Oh my, the sweaters, yarn,sheep,respect for the land, the landscape…There would be no way I could pick just one thing that attracts me to Iceland. I dream of going to a knitting workshop in Iceland some day. Northern lights, snow and ice, pristine landscapes, sheepy fleece. A place to wear warm woolies. All these things! Iceland’s scenery is always stunningly photographed. I’ve never tried Lopi yarn, but I’ve always wanted to. Kate Davies has a beautiful yoked sweater design, Asta Solilja, that is knit in it. The Icelandic sweaters of course! What I love about Iceland: Almost 100% literacy among the population! Beautiful land of Fire and Ice, and sheep and goats . .
I’ve got such respect for the way Iceland seems to really value its traditional culture and crafts, the work put into protecting the old breeds of animals.. It seems like the people really put an effort into everything, even weight lifting I hear! Definitely somewhere I’d love to visit someday. Thanks! When I was in college I opted to study one semester in Edinburgh, Scotland. My flight from NY to Edinburgh stopped in Reykjavik. On my stop over, I went into a small airport store and bought a beautiful cream colored Lopapeysa with light and dark brown colors in the yoke. I had no idea what I was buying. I didn’t knit or appreciate the work that went into this marvelous piece of outerwear. I just thought it was pretty and it looked warm, so I reluctantly paid $20 (it was 1981 and I was a poor college student). Soon I came to realize what an amazing deal I had stumbled upon. I wore that sweater on my winter walks to and from the University of Edinburgh-2 miles from my boarding house. On my return trip to the US, my flight stopped again in Reykjavik. As fate would have it, the pilot announced that the plane was grounded and we would “have” to stay in Iceland overnight.It was a dream come true for me! I enjoyed seeing the treeless countryside, thermal heated swimming pools and art galleries. Unfortunately, someone stole my treasured sweater when I got back to the US but I had such fond memories of it, I think it may have been what inspired me to learn to knit in the first place 8 years ago. I’ve always wanted to replace that sweater. I am now planning a return trip to Iceland. This time I will visit a mill, buy some yarn, and am planning to knit a cream and brown lopapeysa sweater in memory of the one I had back in college! I love the sheep and the sweaters…of course! Never been but would love to go. It looks like a beautiful country and I have heard that they sell yarn in grocery stores which sounds heavenly. The Icelandic sweaters are gorgeous and knitting one is on my to do list…one day. On my yarn swaps around the world, I had an Icelandic partner, she sent me some of the legendary yarns from her country, they hold so much tradition and charm. Lopi holds a very special place in my stash. I would love to see Iceland. It is on my ‘bucket list’. Love the views of the countryside. I visited Iceland several years ago and loved the weather. The immediacy of the wind and cold make you feel part of that beautiful landscape. One day, that’s all I want to say. I admire the way Iceland reacted to the financial crisis, relying on tourism and their wonderful sheep and yarn. I have used their yarn often over the years and love knitting with the natural shades in particular, smelling the yarn and feeling the lanolin as I knit. What a treasure! Iceland is on my short list of travel destinations. I want to hike those beautiful hills and see the sheep in person! I would love to go to Iceland, in the winter to see the northern lights, knitting and hot springs.